We’ve more than doubled our capacity for servicing and MoT’s – in our new state-of-the-art, prestige servicing centre in Prenton where we will be delighted to continue to serve you and new customers. Lovely waiting room and coffee and tea as always! – Drop off demonstrations direct to your home or place of work. Check the cars here. From Saturday myself, Keith, Graham and the team will all be at our new homes – come and say hello – there’s always a cup of tea or coffee waiting. Look forward to keeping in touch and helping you keep you car in top condition and finding your next ideal car! 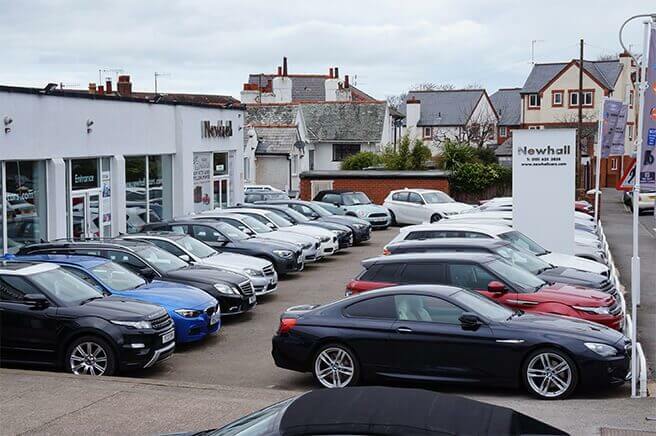 At Newhall Cars we pride ourselves on providing a friendly and efficient service to all of our customers and with over 25 years experience in the industry we build strong and lasting relationships that are based on trust. Visit our showroom and you will instantly feel at home and welcome in our relaxing surroundings. Whether you're simply looking to make use of our workshop facilities or you are taking the first steps in that all important process of changing your car, our experienced team of service and sales professionals will help make the process as simple and faultless as possible. You may be looking for something bigger to help with the growing family or it could just be that you fancy a change, with over 50 cars available we like to think we've got the right car for you. If you don't see what you're looking for then don't panic, we can usually source cars to suit, so just let us know what you are looking for and we will do what we can to help. We specialise in BMW, Porsche, Mercedes-Benz and Mini but you won't be surprised to find the odd Audi, Jaguar or Land Rover in the mix for good measure. Take some time to peruse our website to find out more about our company and what we can do to help.